Ten months after our return from South America, we decide to book a one-way flight to Sydney. There are several reasons behind our choice. In particular, we have been able to apply for a working holiday visa valid for 1 year. You can apply for this visa before turning 31 years old. It may be renewable for a further year if you work for 3 months or 88 days in farms, construction or regional work (the complete work list is on the government webpage). So at the age of 25 and 26 years old, we decide to start this new adventure. We leave without any plans, relationship or job. But with the will to put ourselves out there. We land in Sydney on the 29th of September 2016 and stay in different hostels for the first 4 nights. In the city, we find only low-quality hostels, but still expensive (about $ 30-35 per person in a dorm). At first, it is not easy to get used to the high living costs compared to the Italian ones, but soon we understand that everything is well proportioned to the average salary. 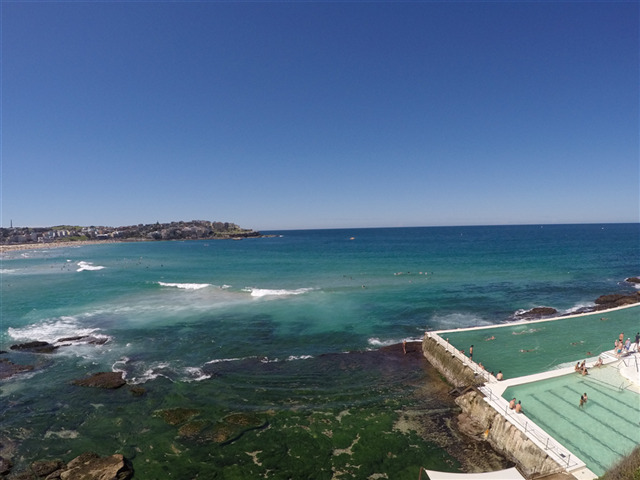 We are very lucky to find a room in Bondi Junction, a strategic point halfway between the city and the beach. And within two weeks we also find a job. Unfortunately, with this type of visa you can only work up to 6 months with the same employer and therefore it becomes complicated, at least in the short term, to find a job that matches our studies. Here, however, it is quite easy to find employment in hospitality or building industry depending on your own experiences or attitudes. For example, we work in the morning at a cafe and in the evening at a restaurant. They usually make casual contracts of about 25 hours a week; so you have to look for two jobs if you want to save enough money to travel later on. The average pay rate is $ 18-20 per hour while the rent for a double room is about $ 200 per week. Obviously, it depends on where you would like to live because on the beach, for instance, the rent is more expensive. In order to move around the city, you need to purchase the Opal card valid for all means of transport, and the price of the ticket varies depending on the route and use during the week. On Sundays, you can take any means any time all for of $ 2.50. Even though we don’t have a lot of spare time while working, we try to explore Sydney and surroundings as soon as we have the chance. We really like the beaches as usual. Bondi Beach is one of the most known beach and above all popular among the surfers (surf here is really much more common than football in Italy!). It is actually always nice to keep watching them into the water while trying to catch the perfect wave (but we are not brave enough to surf here because of the possibility to meet sharks). One of the best popular walks is the one that goes from Bondi to Coogee Beach across the coast with really breath-taking views. After walking for about one hour and a half you can cool down at the beach with a nice fresh beer ... oops here in Sydney is forbidden to consume alcohol on the beach. That’s too bad! We were used too well to the Italian spritz on the beach! Moreover, for nature lovers and hikers, we highly recommend spending a day at the fabulous Blue Mountains, just 2 hours drive west of Sydney, or at Royal National Park among waterfalls, natural pools and trekking. And, if you are tired of walking in nature, the city offers several markets (especially Saturday and Sunday), a lot of cafés, restaurants and pubs with the view of the Harbour Bridge and Opera House and dozens of shopping malls. But what makes the city different is absolutely the presence of beautiful green areas/gardens perfect for a picnic. In fact, vegetation is dominant here like everywhere on this huge continent. 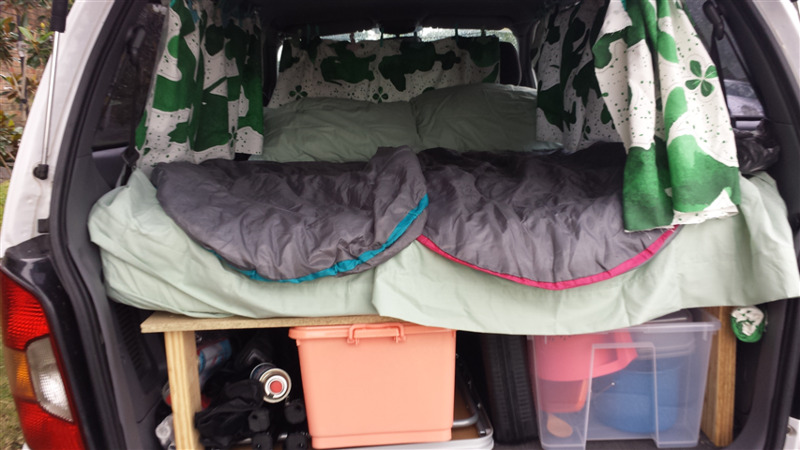 So, after about 5 months of hard work, we decide to buy a car for $ 2500 from a car dealer, build inside a nice mattress and convert it into our lovely home to travel around Australia for the following months. We renamed it YOLO - you only live once - in honour of our philosophy of life. Now you just have to follow our upcoming adventures "on the road". Stay tuned!